Cradle Of Filth’s immense popularity is at least as much a result of their image and provocative shirt designs as it is of their music. That does not mean that they never made any good music, but at times, it seemed like the market desired the band to put out albums faster than they could actually come up with enough decent material. Often, hollow bombast covered up the lack of durable songwriting. The opposite is true for ‘Hammer Of The Witches’. The orchestrations have been dialed back considerably, resulting in what is essentially a great riff-driven modern metal album. It is only natural to assume that the changes that Cradle Of Filth went through contributed to this sudden indrease of quality. No less than three members debut on ‘Hammer Of The Witches’, including guitarists Marek ‘Ashok’ Šmerda and Richard Shaw. And they certainly make their presence known on the album. Especially their riffs are highly prominent. And since these riffs are closer to traditional heavy metal than the band’s black and death metal roots most of the time, the album gives off a somewhat Mercyful Fate-like vibe at times. The keyboards are the most subtle and tasteful on any of the band’s records. Where Cradle Of Filth used to cram its records full of contrasting sections, the songs on ‘Hammer Of The Witches’ appear to be written with the idea of just making the best songs possible and it certainly paid off. The album never becomes as overwhelming as most of the band’s records and is dynamically excellent. Apparently, the current line-up of the band consists of the best riff writers the band had in ages and judging from the solo trade-offs in ‘Enshrine In Crematoria’ and ‘Deflowering The Maidenhead, Displeasuring The Goddess’, Šmerda and Shaw are an excellent lead guitar duo. Atmosphere used to be provided by the keyboards and orchestrations, but the band seems to have learned that the real atmosphere should be in the melodies. That would certainly explain the fantastic doomy riffs of ‘Black Magick In Practice’ or the dramatic melodies that pop up in ‘Right Wing Of The Garden Triptych’. Elsewhere, the band goes for sheer destructive force with riffs that are almost thrashy in nature (‘The Vampyre At My Side’, the excellent epic closer ‘Onward Christian Soldiers’) and several songs contain elegant guitar arrangements somewhat reminiscent of Dark Tranquillity’s ‘The Gallery’ (the middle section of ‘Yours Immortally’). And it all works. More so than on any of their previous records. Anyone who didn’t like Cradle Of Filth before may want to give ‘Hammer Of The Witches’ a chance regardless. Even founding vocalist Dani Filth is surprisingly bearable on these recordings by only employing his high-pitched shriek strategically. Those who were enamored by the band’s gothic leanings may be disappointed, but even those fans may be pleasantly surprised by the consistently high level of songwriting on the album. Boredom doesn’t set in until the bonus tracks, which are decent enough, but notably less interesting than the main album. That still accounts for almost an hour of powerful heavy metal that is really only pushed into extreme territory by the vocals. By competing in the Wacken Metal Battle, related to the famed Wacken Open Air, Gyze has been one of the few Japanese metal bands that has made something of a career for themselves in Europe. Not that that should be too surprising, as the folky melodic death metal of the trio has quite some common ground with the Finnish metal scene. And yet, through the use of Oriental folk elements, they have their own identity. Recently, their new single ‘The Rising Dragon’ was released internationally. Within this context, we talked with singer, guitarist and keyboard player Ryoji Shinomoto. The announcements aren’t the only aspect in which the band has to switch between English and Japanese. Gyze also offers lyrics in both languages. “English is easier for me, because Japanese has a different rhyming technique“, the frontman admits. “Also, English sentences are sometimes much shorter. However, when we decide to use Japanese for the lyrics, I always choose to use difficult characters, archaic words and four character proverb.” Smiling, he adds: “So usually, even Japanese people can’t read our lyrics. ‘Day Of The Funeral’ from our first album, ‘Nanohana’ from our second album or our new single ‘Ryugin’ are like a story from a book, which is easy to write and read. ‘Brown Trout’, ‘Trash My Enemy’, ‘Frozen Dictator’ and ‘Horkew’ are more interesting and difficult lyrically. When people listen to ‘Horkew’, they might here English words there, but actually, the lyrics are totally in Japanese. It happens because I chose words that would sound similar to English to make it more interesting. For instance, “(mita)sarenai” sounds like “silent night”. Gyze only has three members. Bassist Aruta Watanabe and Ryoji’s younger brother Shuji complete the line-up. Still, the music has a lot of different elements. Besides the guitars, bass, drums and vocals, keyboards and several traditional instruments can be heard. “On stage, I only play lead guitar“, Ryoji explains. “But on the cd’s, I always want to create the ideal sound. If when composing I feel like using a certain instrument, I will. That’s why we have songs with shamisen, violin, keyboards, harmonic guitars and so on. That ideal sound is not just me of course, because Shuji and Aruta’s sounds are equally important. I always use the piano for composing and I really care about notes and music theory. First, I check all the notes and tuning by piano. And if I find some odd sounds, I always fix them. Even for the bass. When I just started composing heavy metal, I just relied on my sense. If I felt like the sound was messy, I just deleted the part. Recently, we started checking the bass lines through midi. Aruta and I check the tuning, the scales and the notes of his parts. The same appeals to the drums with Shuji. All these checks and precautions help to avoid turning things into a mess. Especially if we start playing the songs at full speed. For te mix and even the album covers, Gyze has exclusively worked with European engineers and artists thus far. “The funny thing is that we have never worked with Japanese engineers and designers“, Ryoji smiles. “Our first engineer was Ettore Rigotti from Disharmonia Mundi. I was a big fan of his band. Then from the third album on, we started working with Ahti Kortelainen. I love his sound and of course, he has experience with a lot of great heavy metal bands like Sonata Arctica and Kalmah. Ryoji’s initial influences were not Japanese bands: “When I was about seven or eight years old, I got a guitar from my father and played classical guitar until junior high school. The first rock band that inspired me was Kiss. I listened to a lot of hard rock and punk until I was about sixteen years old. Later, I started listening to heavy metal. I really enjoyed the essence of heavy metal: the fast tempos, the minor scales, the melodies and the epic feel of such bands as Iron Maiden, Metallica, Megadeth and later on various death metal bands. Around the same time, I also started listening to traditional Japanese pop, world folk and classical music. 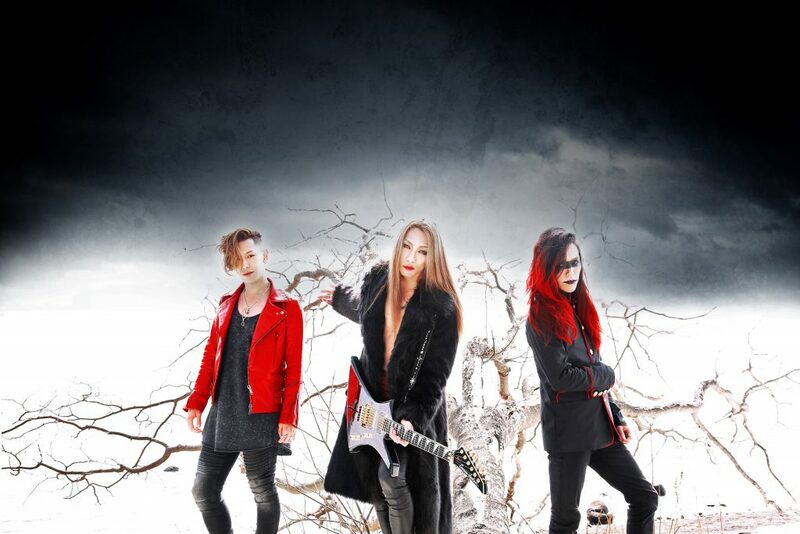 A large portion of Gyze’s discography, including the new single ‘The Rising Dragon’, can be streamed through Spotify, iTunes, Deezer, Tidal and other popular streaming platforms. The original Dutch version of this article can be read at The Sushi Times. Thanks to Mona Miluski at All Noir for setting up the interview. ‘Darker Than Black’ is Volcano’s fourth original studio album since mid-July 2015. While that may seem a bit excessive, it is also remarkably good. Volcano was always the perfect band for anyone who could not choose between the vicious aggression of thrash metal and the melodic appeal of traditional heavy metal and ‘Darker Than Black’ is no different, though the melodic death metal influences that were prominent a few albums ago have been dialed back considerably. ‘Darker Than Black’ is one of Volcano’s more interesting albums compositionally, though it is just as capable of thrashing your face off when it needs to. One thing that immediately stands out is that a lot of attention has been given to making the songs instantly recognizable. Every previous Volcano album has its fair share of powerful songs and catchy moments, but at times, some of the non-highlights had a tendency to sound a little too similar. However, no two songs sound alike on ‘Darker Than Black’. This is admirable, because thrash metal can be quite the limiting genre. By subtle changes in tempo, atmosphere and melodic content, the Japanese quartet managed to give each song its own face while retaining their thrashing intensity. Speaking of atmosphere, two of the album’s most atmospheric moments have surprisingly been composed by bassist Akira. The propulsive ‘Jailbreak Vampire’ has a middle section that would not have sounded out of place on a mid-nineties Scandinavian melodeath album, while closing track ‘Guardian Deity’ immediately becomes one of the album highlights through its heroic melodicism. Guitarist She-ja wrote the rest of the material, with ‘Flight To The World’ possibly being the best opening track Volcano ever released. Classic twin guitar melodies, punishing drum work by the incredible Shun and biting thrash riffs constantly keep each other in perfect balance. And good luck getting that chorus out of your head. Furthermore, Volcano explores the entire spectrum of heavy metal here. At the most melodic end, there are songs like the classic midtempo heavy metal of ‘Scatter Toxins’ and the relatively open ‘When You Are’, which has a gorgeous, almost bluesy guitar solo. The latter is also true for ‘Arena’, which is the perfect breather for an otherwise rather chaotic song. ‘Horror’ is a very cool riff-driven thrasher closest to the eighties Bay Area tradition, while ‘Great Crisis’ similtaneously houses some of the album’s most extreme as well as some of its most melodic sections. It should not work and yet, it does. In fact, the entire album works. The only issue have with it is that the mastering job is a nightmare. It isn’t disruptive in every single song, but during some intense double bass sessions, the music distorts. With the songwriting generally being on par with – at times even slightly better than – the better moments of ‘Melt’, that should only be a minor complaint though. Though nothing on ‘Darker Than Black’ may be as instantly catchy as ‘Tokyo Panic’, it feels like this 53-minute collection of carefree thrashing will leave more of a lasting impact, quite likely making it the second best Volcano album after 2001’s incomparable ‘Davi’. With the increasing popularity of nerd culture, it is not too surprising that there has been a veritable boom of technical and progressive death metal bands a couple of years ago. Very few managed to impress me as much as Obscura did, however, as the German quartet seems to forego pointless displays of virtuosity and aim at an immersive atmosphere and a strong sense of melodicism instead. In that regard, ‘Cosmogenesis’ was a breath of fresh air when it was released nine years ago. And though they have consistently released great music since, it is still stands as their best work. Obscura’s music contains a lot of the elements that made Death such an amazing band a decade and a half earlier, but without deliberately trying to copy Chuck Schuldiner’s work. Sure, frontman Steffen Kummerer has repeatedly admitted to “totally ripping off Death” with ‘Incarnated’, but connaisseurs would never mistake Obscura for Death. The latter obviously laid the groundwork for this type of unpredictable, technically challenging extreme metal with fretless bass work, but the uptempo, insistent twin riffs are a characteristic that is quite unique to Obscura and Death never sounded this spacey. The conceptual focus on German philosophers creates this unique universe as well. Another thing that makes Obscura favorable to most other bands in their genre is that they understand the concept of dynamics. Hannes Grossmann is technically capable of spending the entire album sounding like he’s falling down the stairs with admirable rhythmic precision, but instead he chooses his moments wisely and lets the music breathe when it has do. ‘Desolate Spheres’, for instance, is a dense song, but suddenly calms down during Christian Münzner’s fusion-esque solo to prepare for the final burst. The instrumental ‘Orbital Elements’ also makes excellent use of strategically placed, more subdued passages. However, Obscura’s main asset is that they can combine intensity, brutality and technicality without sacrificing even the slightest bit of any of those. Opening track and audience favorite ‘The Anticosmic Overload’ is virtuosic, yet vicious, while there is more happening melodically than on an entire album of most of their peers. ‘Nospheres’ has some of the most violent riffing on the album, but also an incredible middle section with Kummerer and Münzner at their harmonic best, while closer ‘Centric Flow’ has an incredible finale that could just as easily have been on a classic eighties heavy metal record. ‘Incarnated’ could have been on a progressive power metal record, had it not been for Kummerer’s aggressive barks. Though I often claim that I hate technical death metal, I would not be as averse to the genre as a whole if more bands had an approach similar to Obscura’s. For Obscura, their compositions are not a vehicle for their virtuosity. Rather, virtuosity is a means to increase the power of their songs when needed. The Germans – at the time with a Dutch bassist – are just as comfortable just letting the inherent aggression of their music take the lead. And isn’t that the characteristic that made metal so appealing in the first place? Two years ago, Alkaloid thoroughly impressed me with their highly creative debut album ‘The Malkuth Grimoire’. Despite the band members’ association with high profile metal bands – Obscura most prominently – it transcended the supergroup burden by coming up with a highly progressive, almost avant-garde extreme metal that forsakes most of the exhausting hyperactivity of most contemporary technical death metal bands and aims for atmosphere and maximum impact instead. Fortunately, Alkaloid found time in its busy schedule to record a second album and it manages to amplify all the best aspects of ‘The Malkuth Grimoire’ beyond what yours truly had expected at this point. In a way, ‘Liquid Anatomy’ is slightly less extreme than ‘The Malkuth Grimoire’. There are still plenty of hyperspeed death metal passages to be heard and Florian Magnus Maier still throws his hateful growl around like there’s no tomorrow, but the focus seems to have slightly shifted towards the progressive side of the band rather than brutal force. Overall, Maier does more clean vocals here, which really enhances the immersive atmosphere of the material. Pink Floyd and Cynic appear to be the most prominent influences in that matter, but not as spacey as the former and much more organic and effective than the latter. One would have to look no further than opening track ‘Kernel Panic’, which appears to mirror the first half of previous opener ‘Carbon Phrases’ stylistically with its gorgeously layered clean guitar lines and vocal harmonies punctured by blunt moments of aggression. Hannes Grossmann’s interestingly timed rhythms and and the guitar solos by both Christian Münzner and Danny Tunker are incredible. Anyone expecting pure death metal may be discouraged by the opener, but it is a brave opener that emphasizes the unique nature of the band. Those desiring a heavier approach will still be satisfied by ‘As Decreed By Laws Unwritten’ and parts of ‘Chaos Theory And Pratice’. Personally, I strongly prefer the more experimental approach though. ‘Azagthoth’ profits from somewhat exotic rhythms, crazy lead guitar work and a perfect balance between pounding heaviness and sophisticated subtlety, while the acoustic-based title track is a beautiful extreme progmetal ballad, as unlikely as that sounds. The guitar arrangements of ‘In Turmoil’s Swirling Reaches’ are downright brilliant, but most attention will probably go out to the 20 minute beast that is ‘Rise Of The Cephalopods’. It is a highly dynamic track that takes the listener through all the extremes of Alkaloid’s sound, from the cleanest, calmest acoustic sections to some of the most thrashing death metal on the record. My only minor complaint would be the production, which feels a little less dynamic than last time around and really does not benefit the amazing bass playing of Linus Klausenitzer. Sometimes you’d even have trouble hearing him if you pay close attention and that makes the record slightly less immersive sonically than its predecessor. The song material is a definite step up from what was already a high quality debut, however. 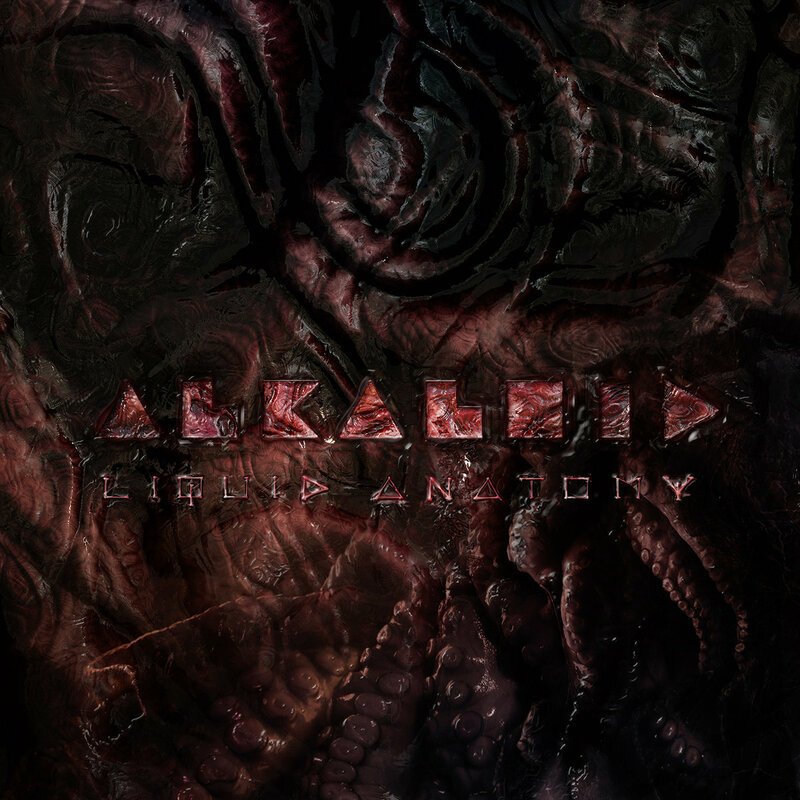 As such, Alkaloid has not only outdone itself, but also proven that the band is so much more than just a new project with a prominent “ex-Obscura” label. Highly recommended for fans of progressive music of all sorts. Melodic death metal generally seems to come in two flavors: heavy songs with ridiculously melodic choruses and At The Gates riffs with metalcore breakdowns. Anything that is neither of those is more interesting by default. Enter Purest Of Pain’s debut album ‘Solipsis’. The album has much more to offer than most of the band’s peers in terms of dynamics and atmosphere. All of these songs have rather unpredictable structures the choruses are designed as true climaxes rather than moments that take the sting out of the songs, like on so many recent works by Arch Enemy and their followers. What really sets ‘Solipsis’ apart from other albums in the genre, however, is its overall mood. Both lyrically and musically, the album breathes an air of bitter cynicism and poorly veiled melancholy that makes it a pleasure to listen to. Due to the clever use of very strong interludes, ‘Solipsis’ plays like a concept album and as a result, has a very pleasant flow. The great deal of variation contributes to that as well. Purest Of Pain clearly does not plan to settle for a post-thrash polka and a half-time chorus for every song, which ultimately makes ‘Solipsis’ a triumph on the songwriting font. Those who have followed the band are already familiar with ‘Momentum’, which is probably the closest thing to traditional melodeath on here. Due to inventive timing and a great use of dynamics, it is just a little different though. Furthermore, Purest Of Pain really seems to explore all the possibilities within the – admittedly limiting – boundaries of melodic death metal. On the most melodic end of the spectrum, there is the almost classic heavy metal feel of ‘E.M.D.R.’, while songs like ‘Tidebreaker’ are infused with more extreme metal sounds that really enhance the bleak atmosphere of the compositions. One of the highlights of ‘Solipsis’ is ‘Terra Nil’, a midtempo grinder that works its way to a truly emotional chorus and a simple, but brutally effective guitar arrangement in its middle section. The threatening feel and punchy lead guitars of ‘Vessels’ also belong to the album’s strongest moments. Speaking of guitars, Merel Bechtold – also known for her involvement with Mayan and Delain – is the true revelation of the album. ‘Solipsis’ is first and foremost a guitar album, after all. Her massive, pleasantly layered guitar sound and interplay with Michael van Eck really is the main attraction of ‘Solipsis’, though Joey de Boer’s varied and intensive drumming deserves praise as well. So there you have it, a melodic death metal album with more atmosphere and a greater amount of different rhythms than usual in the genre. Where most bands try to force variation by adding synths or oddly unfitting clean vocals, Purest Of Pain proves that the real way to make a difference in melodic death metal is to enhance your compositions rather than the arrangement. Every riff and every wide chord serves a purpose. And that is exactly what makes ‘Solipsis’ such an effective album. One that warrants multiple spins rather than going in one ear and out the other. Bonus cd’s with complete albums are something of a strange phenomenon, but they have been appearing more frequently. It is especially strange when the bonus album is significantly better than the main portion, as is the case with this double album of Portuguese gothic metal stalwarts Moonspell. It could be a simple matter of preference, as ‘Alpha Noir’ emphasizes the band’s extreme metal roots, while ‘Omega White’ is pretty much a full-on gothic rock album. While the band’s power was always in blending these genres, it is praiseworthy that they were inspired enough to come up with this much material that stays interesting almost all the way through. The sharpest division between the two albums is undoubtedly in the vocal approach of Fernando Ribeiro. Apart from the verses of the title track, ‘Alpha Noir’ features his guttural, yet still somewhat comprehensible growls almost exclusively, while his beautiful, deep baritone takes center stage on ‘Omega White’. Still, there are compositional differences. Only a few songs could have been on either album, depending on the vocal approach. ‘Omega White’ is notably more atmospheric, with Pedro Paixão frequently adding keyboards in addition to guitar riffs, ending up sounding somewhat like a more guitar-heavy take on The Sisters Of Mercy and Fields Of The Nephilim. Having said that, ‘Alpha Noir’ excels when its songs feature a healthy dose of atmosphere as well. ‘Em Nome Do Medo’ has all the riffy violence you could wish for, but also has some excellent keyboard textures and a beautiful, open middle section. ‘Versus’ is a lesson in layering and song construction, while the bombastic opener ‘Axis Mundi’ is an absolute highlight. It is also, together with the title track, the only song with notable gothic overtones. The cinematic instrumental closing track ‘Sine Missione’ is nothing short of spectacular. ‘Omega White’ is more memorable and consistent, however. Starting out with the gorgeous ‘Whiteomega’, it is obvious that we’re dealing with Moonspell’s goth sound here. This could be an issue for some fans, but the songs are so good that it is easy to forget about that. Its great chorus and the sensuality turn ‘Herodisiac’ into a classic that should not be reduced to bonus track status, while ‘Sacrificial’, ‘White Skies’ and ‘Fireseason’ are all expertly constructed, infectious goth rock tracks with big, beefy riffs, haunting melodies and an excellent vocal performance by Ribeiro. The atmosphere isn’t quite as dark and mysterious as on the 1996 classic ‘Irreligious’, but the best songs are equally impressive. Ultimately, one could wonder if it would be wise to release this as two separate albums. Personally, I would have gotten rid of some of the weaker tracks (my suggestions: ‘Opera Carne’ and ‘Incantrix’) and released this as one excellent 70-minute album, which could work wonders for the dynamics as well, but I guess people who are only into the band’s heavier side could just settle for the normal edition without ‘Omega White’. However, that would mean missing out on Moonspell doing what they do best: crafting atmospheric songs with great vocals. It’s your choice.